Age 82, died on Friday, August 17, 2018 at her residence. She was born on April 5, 1936 in Paw Paw, the daughter of Delbert and Viola (Flanders) Branch and has lived in the area for her entire life. On September 18, 1959 she married John Brinton and together they enjoyed more than 59 years of marriage. 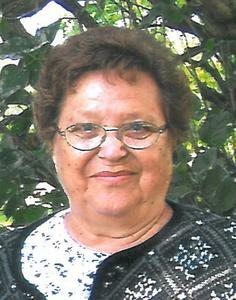 She enjoyed sewing, refinishing antique furniture and horseback riding. Alice will be remembered for being a loving mother, grandmother and great grandmother. Members of her family include her husband, John; 2 daughters: Debbie ( Tim) Hood and Kathy Wrona; 7 grandchildren: Tammy ( Ty) Spicher, Charlie Hood, Britney Hood, Jennifer (John) Buskirk, Stephanie Wrona Mucia, Bryan Wrona Jr. and Cody Keys; 6 great grandchildren: Taylor, Tessa, Tegan, Wyatt, Kaylie and Collin; a sister in-law, Bernice Branch; and other nieces and nephews. She was preceded in death by 8 brothers and sisters. Cremation has taken place and private graveside services will be held at a later date. Please visit Alice’s personal web page at www.BetzlerFuneralHome.com, where you can archive a favorite memory or photo and sign her online guestbook. Memorial donations may be made to the Al-Van Humane Society or Hospice Care of Southwest Michigan. Arrangements made by Betzler & Thompson Life Story Funeral Home, 60900 M-40 Hwy; Paw Paw (269) 657-3870.